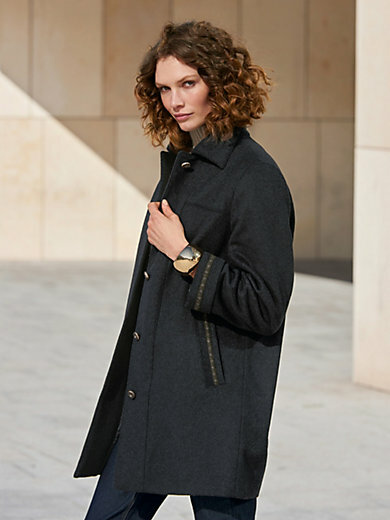 Loden jacket by PETER HAHN in city chic country style made of premium quality cloth with a touch of soft cashmere. Appliquéd trim on both welt pockets and on the turn-up sleeves and buttons in horn look emphasise the authentic look. Single buttoned inside pocket. 80% wool, 20% cashmere. Lining 100% polyester. Length approx. 33ins. The loden jacket should be dry cleaned.